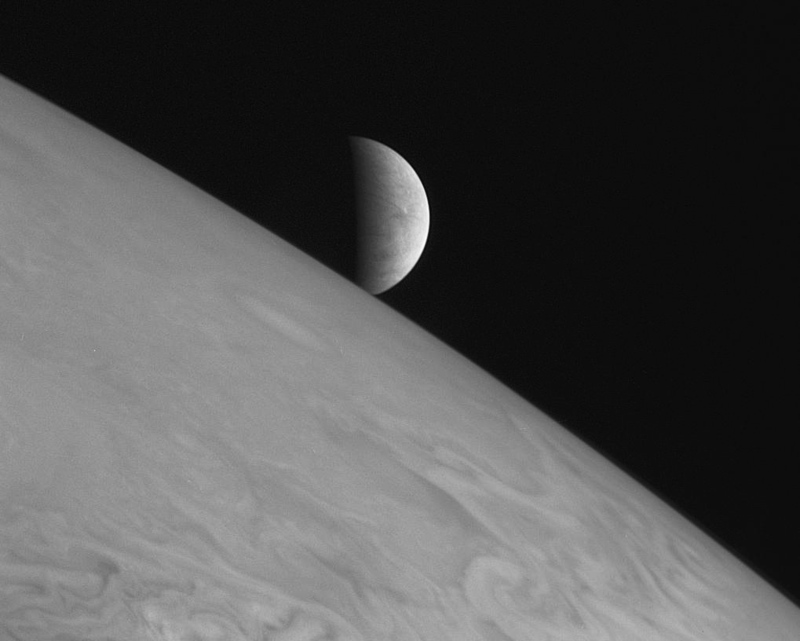 One of the most beautiful images of Jupiter and its ice-covered moon Europa was actually taken by the New Horizons spacecraft destined for Pluto! The view above was captured by New Horizon’s LORRI imager from a distance of 1.4 million miles from Jupiter on Feb. 28, 2007 just after it made its closest pass of the giant planet. New Horizons used the 2007 Jupiter flyby to get a gravitational “turbo boost” to send it out to Pluto in time for this year’s July visit, but it also managed to make some great observations of the planet, its rings and its moons while it was there. See more of those on the CICLOPS site here, and keep up with the New Horizons mission here. Previous Post The Next Chapter of Philae’s Big Adventure is Here!